This movie aims to give veterans options and examples of how they can treat PTSD and return to living normal, productive, and happy lives. “Every day, an estimated 22 veterans end their own lives,” explains Michael ‘’BigMike’’ Straumietis, Mile Marker’s executive producer and CEO of Advanced Nutrients LTD. In an effort to bring cultural awareness to this “extremely significant number”, Mile Marker premieres on Tuesday, May 22, 2018, at The Grove’s Pacific Theater in Los Angeles. Cannabis, as an effective treatment option for Veteran’s suffering from PTSD, is explored in this award-winning documentary. Made “by veterans for veterans,” director Korey Rowe, a veteran who served in the Iraq and Afghanistan wars, investigates new and controversial techniques and methods for treating PTSD, as well as looking into the lives of veterans in America today. 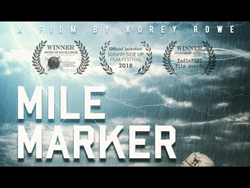 With the aim of having veterans return to normal, productive, and happy lives, Mile Marker embarks on a cross-country journey whereby Rowe travels 7,000 miles across the US to check in on his former battle buddies some 15 years after their deployments. Along the way, Rowe interviews psychologists and mental health specialists to learn more about PTSD, its symptoms and triggers, and the growing acceptance of cannabis as an effective treatment option. “My life’s mission is to make cannabis an acceptable and everyday part of healing humanity — and the veteran population is one that’s in need of much healing. The psychological wounds that combat can inflict can be just as devastating and life-altering as the physical ones,” Straumietis emotionally concludes.